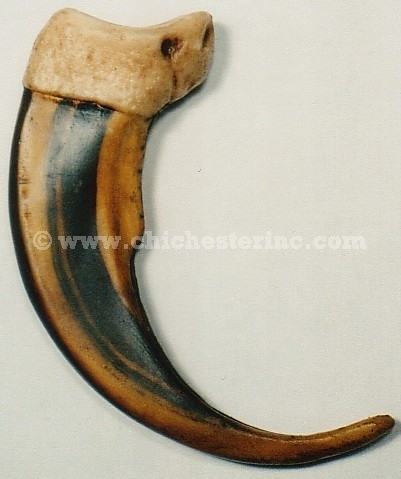 These reproduction (i.e., not real) northern grizzly bear claws are some of the best quality on the market today. They are made using casts from real claws using plastic resin and are then hand painted. We often encounter people who insist that these are real claws--they have even fooled conservation officers.